Finding and removing squeaks from a piano is a difficult task that requires a significant level of care and expertise. Often, a squeaky key is the result of debris stuck between the keys or a dirty piano inside. Most problems can be fixed with household tools, but some may require the care of a professional and experienced piano repairman. Troubleshooting pianos can be a difficult process and will require you to take extreme care. 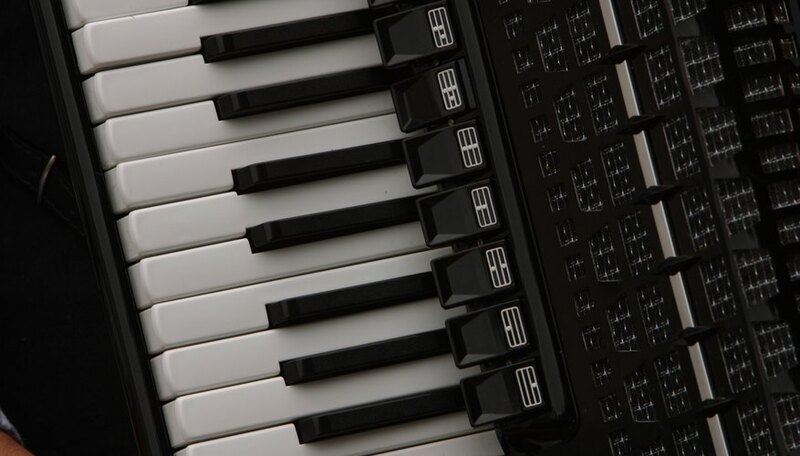 Press the key at different dynamic levels and see if a softer or louder dynamic creates the squeak. If it is a louder dynamic level that causes the squeak, you might actually be looking at a buzz instead. Check the soundboard and hammers for any debris, such as wrappers, coins, paperclips or even paper that may be causing the noise. Insert a soundboard steel between the sides of the keys, and attempt to dislodge anything that may be stuck between the sides of the keys. Even a small splinter will cause squeaks. Apply Protek to the balance rail located directly inside the piano at the bottom of the hammerhead shanks. Dust the inside of the piano by using a clean cloth and a vacuum cleaner with a soft bristle attachment. Vacuum the piano key heads and the soundboard to remove any debris. Sand down the sides of the key by pressing down on the keys to the either side and using a fine grain sandpaper. Sand just enough to smooth out the key and prevent future squeaks. Unless the squeak is easy to fix, hire a professional to come and fix your squeaking piano. You should have your piano tuned twice a year anyway, and this will save money in the long run if you accidentally damage your piano.